Why are the Trades Key to Sustainable Community Transformation? An Oklahoma based, non-profit has executed on its vision of “putting communities on a path toward self-sufficiency.” – water4.org/what-we-do/ Pouring money into band-aid or one time fixes, only solves a crises for a moment in time. When the leaders of our industries, local communities, or countries take the time to evaluate the human capital (or people resources) available to solve local problems, both big & small, they gain the traction needed to fabricate long term, sustainable solutions that provide opportunities for the very people they support. 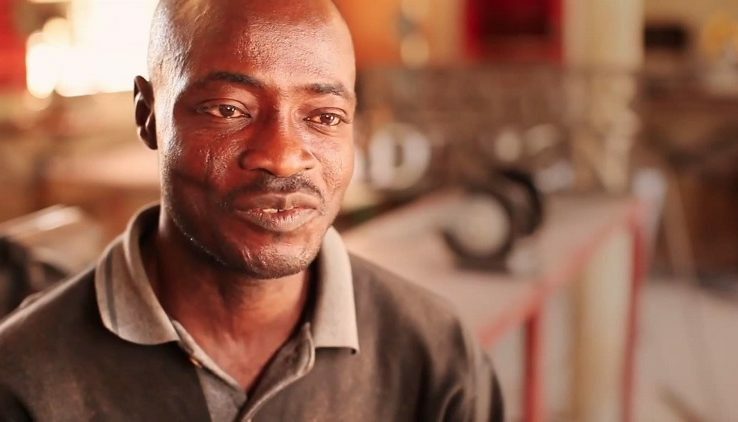 If you’re looking for a little inspiration to guide your way or just your day, check-out this story about Nestor, the Togolese Welder who’s simultaneously built a business and helped solve the water crises that plagues his community in Togo. How can you use your own 2 hands to make a difference? It’s easy to feel lost and powerless in our great big, lumbering, global economy. But the power to positively transform our communities and our lives, lies within each of us. Why can’t our local trade associations work with local small business owners, metal-workers, and students to create tangible goods, tools, complete solutions that benefit our communities at large. We have the power to bridge a pathway to recover from job losses due to innovation, outsourcing, automation, and paradigm changes. How can we take what we know, build upon it, and develop our own plans to harness opportunities and solve problems? Maybe your passion isn’t to work with people across the globe; maybe instead it’s to give a hand up to those we see when as we drive across town. What can we build, weld, tack, or fabricate together to solve critical problems? By working together, we can dream big and build a reality that’s even bigger and better than any one of of thought possible! If you have any ideas on how we can work together, drop us a line, we’d love to be inspired. Excellent ! What an inspiration, so glad you shared. Thanks Tim! So glad you enjoyed the story. We were truly inspired as well.